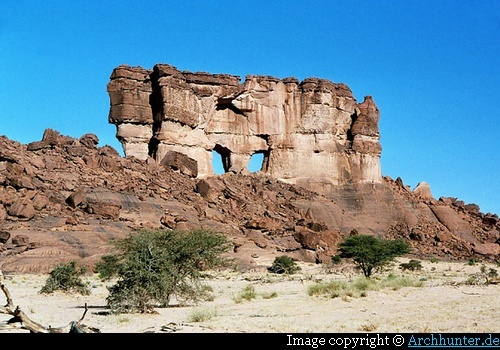 Ennedi Plateau in the north-east part of Chad is one of the most inaccessible region in the middle of Sahara. 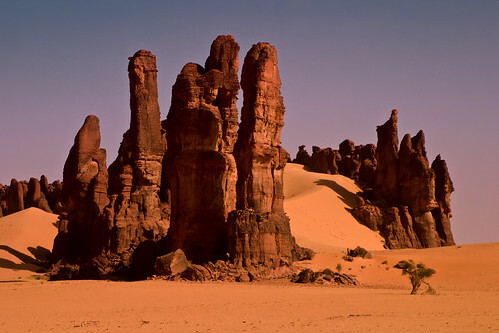 It rises out of the Saharan Desert near the border with Libya and Sudan and is surrounded by the sands on all sides, that encroach the deep valleys within the Ennedi range. At one time only the nomadic caravans could manage to cross it but now it is accessible by 4x4 vehicles though there are no regular roads in the area. 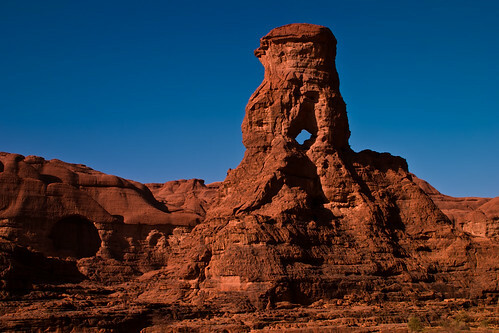 The region is full of amazing geologically formed arches and pillars some of which are as exquisite as those in USA (Utah/Arizona) or other part of the World. However due to inaccessibility, political unrest, extreme poverty, fragile law and order situation etc there is total lack of tourist facilities and not many persons visit the area. 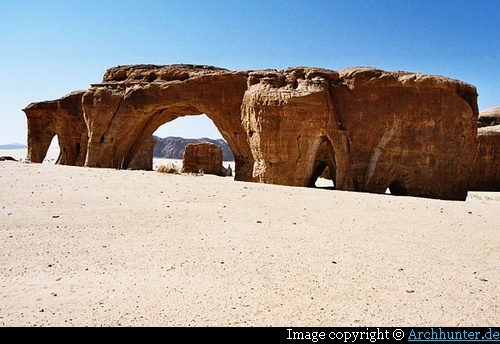 Its breathtaking beauty, which has been described as Sahara’s Secret Garden (Source), therefore remains unknown to most of the outside world. Few gueltas (wetland, typical of desert regions which are formed when underground water in lowland depressions spills to the surface and creates permanent pools and reservoirs) in the plateau are the last refuge of unique flora and fauna that have survived the harsh Sahara Desert. 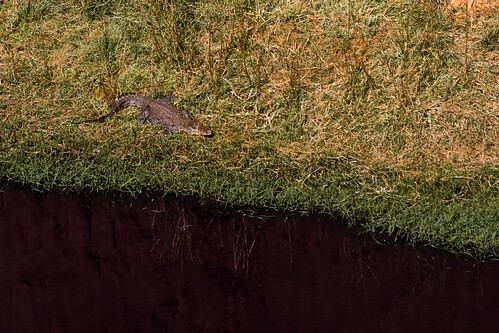 Most famous of these is the dwarf Nile crocodile which can be found in Guelta d'Archei. 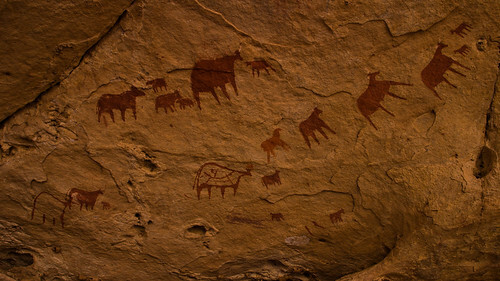 Reportedly till the middle of 20th century the last lions of Sahara also roamed the area. 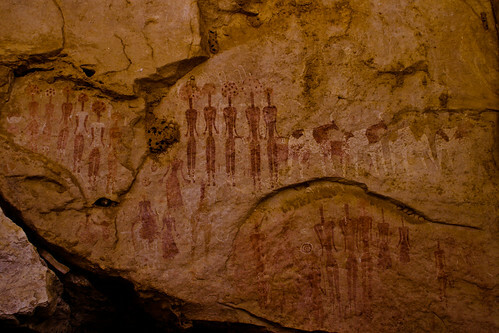 A few Ennedi tigers may still be hiding in the deep interior of the region. 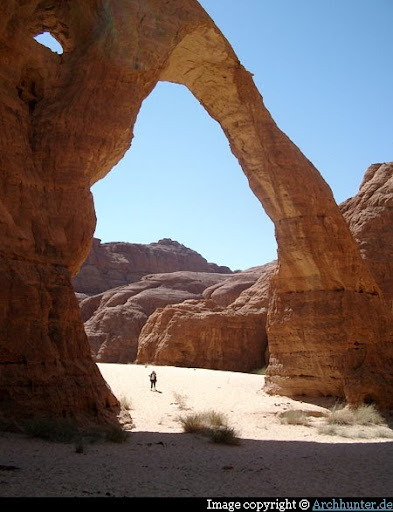 Though the Guelta d'Archei has some water it is a barren place, away from beaten paths. A 4x4 takes at least 4 days to travel from N'Djamena, the Chad capital and another 4 hours trekking to reach this barren but beautiful spot. 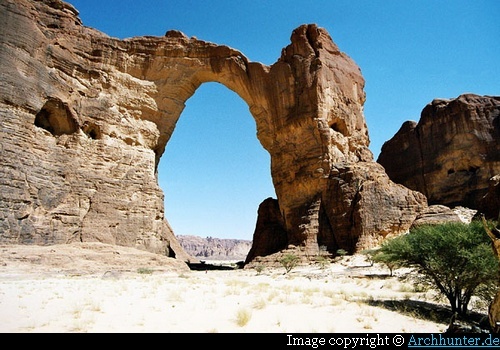 The Aloba Arch - about 120 metres (394 feet) high with a span of about 77 metres (253 feet) is one of the most remarkable and is amongst the highest natural arches in the World. 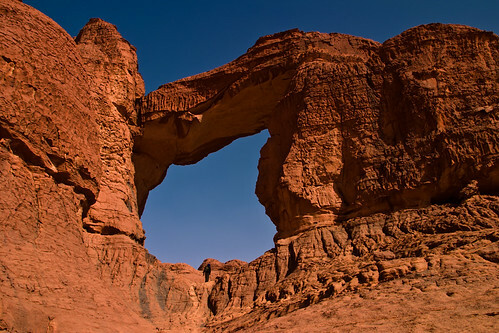 Its huge opening can be gauged by the tiny human figure standing at the bottom of the arch, just in front of its shadow! Image copied from Naturalarches.org is by Gunter Welz (Archhunter.de) and included here after due permission. Mask Rock has two openings like a face mask, hence the name. Elephant Arch - is known by its very obvious large sized trunk and a characteristic eye of an elephant. It has a height of 23.2 metres (76 feet) and a span of 18 metres (59 feet). Notice the smaller opening in the upper left - the "eye" of the elephant. Image from Pbase is by Dario Menasce. Copyright © image included here after due permission. http://www.archhunter.de - A very good collection of images of the area. Credits: I am thankful to Dario Menasce and Gunter Welz of Archhunter.de for allowing me use of images from their collection. 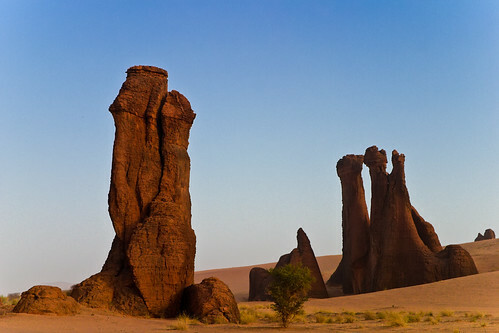 I am also thankful to marches-lointaines.com for posting the entire Ennedi Trek collection in Flickr under Creative Commons. 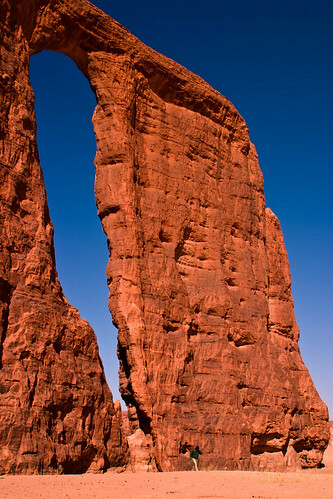 Some more images have been added in a subsequent post entitled "Ennedi Plateau - Sahara’s Secret Garden - Revisited"